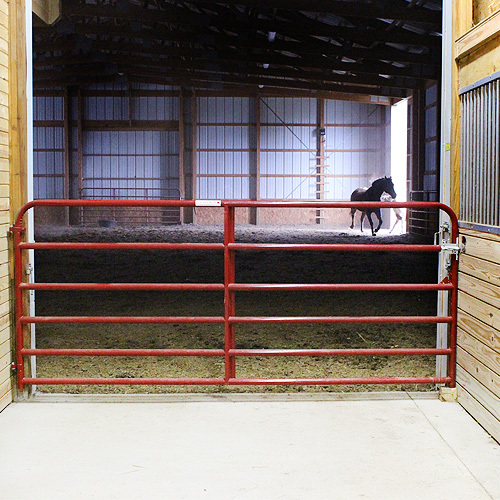 If you are looking for a horse fencing system that provides a strong barrier, with the added safety of flexing on contact, very low maintenance, strong break-strength, has a long life, and is high in visibility, then we suggest our patented Flex Fence®. 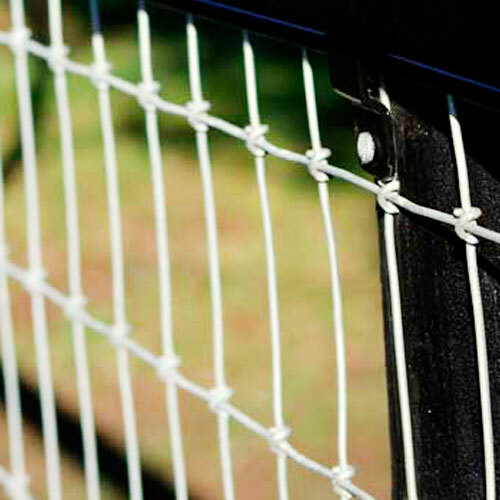 We recommend you check out our electric fencing systems if you have horses that like to lean, chew or test their boundaries. 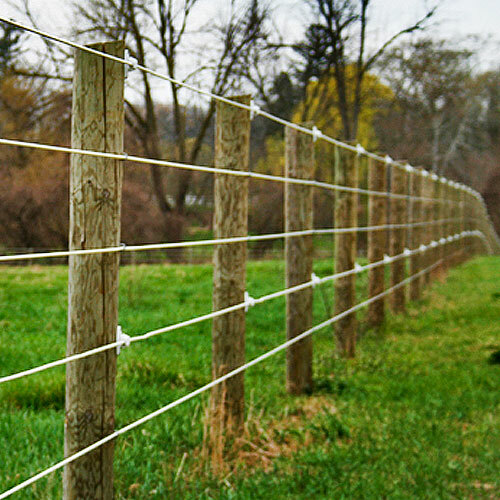 Electric fences can stand alone or may combine with any of the other horse fencing systems. 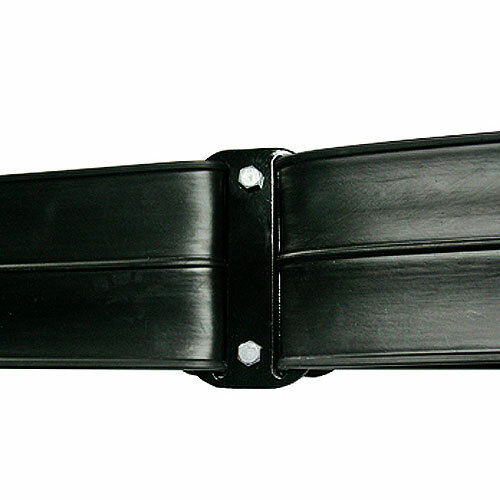 It's a very good way to help prevent wear-and-tear on fence systems and will teach the horses to respect the fence line. 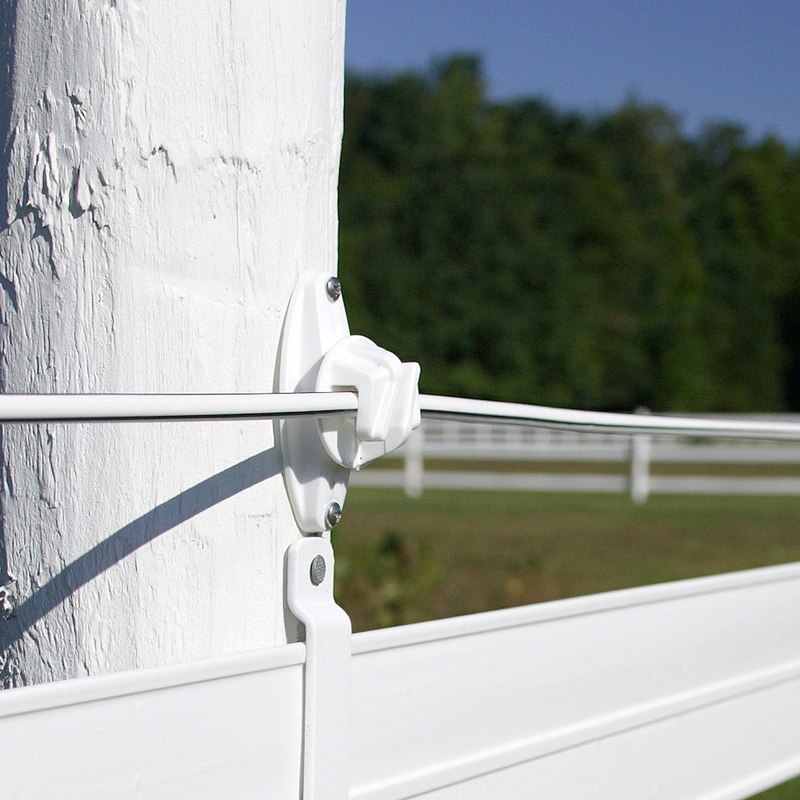 RAMM also carries a PVC fence that is beautiful and decorative for your property, driveway or riding area. 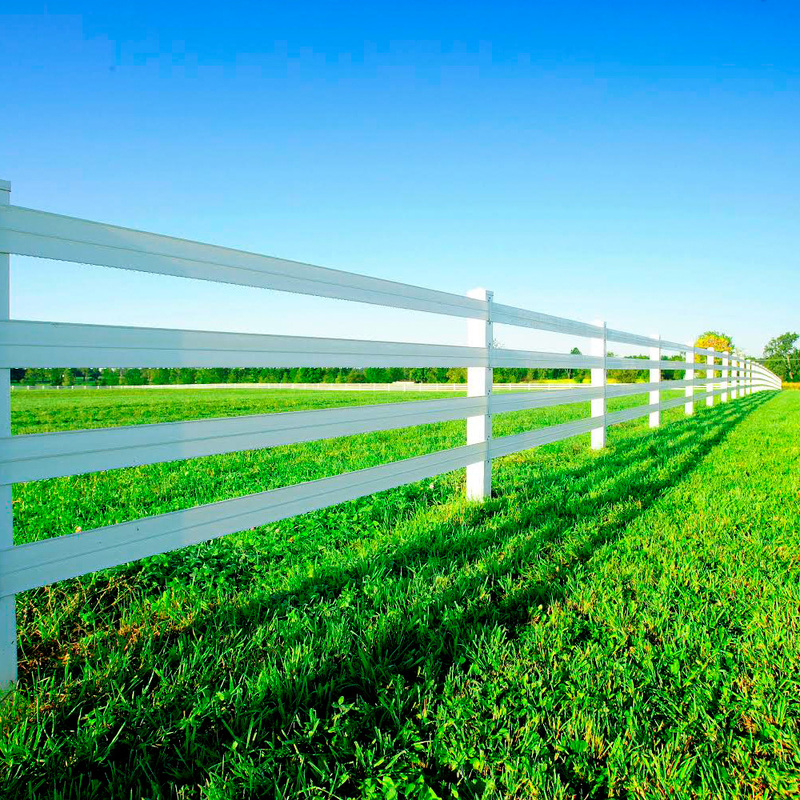 The PVC fencing in white will give it a board fence look – made to beautify your farm and landscape. 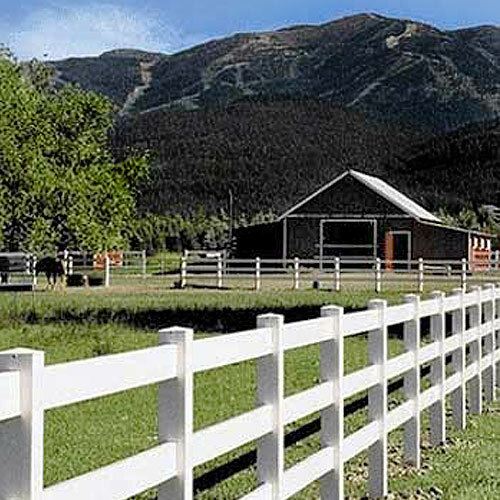 Call us at 1-800-434-8456 to speak with one of our expert horse fencing account managers today. 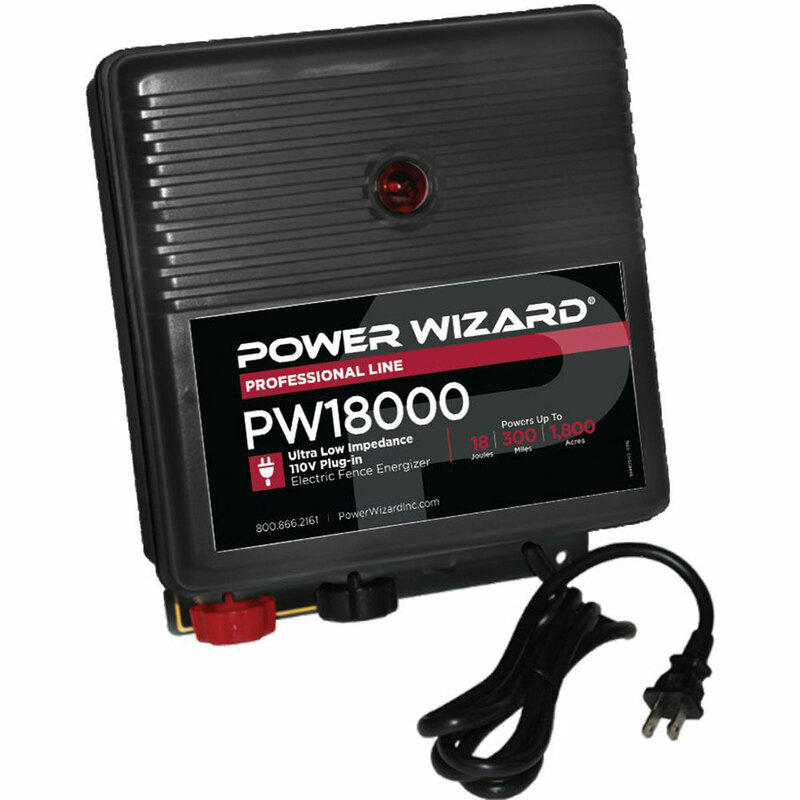 They can offer assistance on which type of combination or fence system or is right for you or answer any questions you may have. 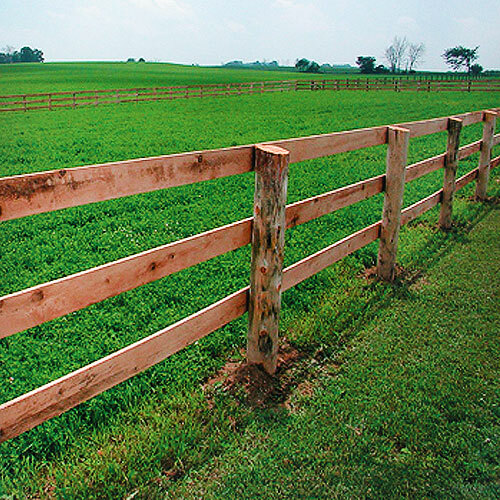 We know not all horse farms are alike, so we will mix-and-match a horse fence system that will fit your needs and the needs of your farm.